Keep this in mind for next semester's textbooks: If you can live with having sticky notes instead of highlighting and writing inside your textbooks then do that. If you're like me and you lose all your sticky notes and can't enjoy your notes without highlighting important information, then go ahead and do that, but sparingly. Also, try to keep any softwares that came with your books clean and free from scratches. Keep your textbooks clean; meaning don't eat while studying, don't drink while studying, and just basically don't do anything while studying. Studying is time for studying and nothing else. The best time to sell your college textbooks is a few weeks before each semester starts. Actually the best time is the week before each semester starts, but that time is hectic for everyone. There would be a lot of pressure on you to get the books to the post office ASAP and mailing them express. Thus, give or take selling your used college textbooks three weeks before the semester starts is a good time. Go to this website: www.dealoz.com. 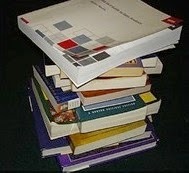 This site will compare the prices of your college textbook in each online bookstore they have available in their list. You would just enter the ISBN# which is usually found on the back of books. After you enter the ISBN#, a list of bookstores with prices of books they have on sale will show up. You should look at the site which is willing to pay the most money and go sign up for it and post your books for sale. I usually use ebay.com, half.com, and amazon.com to sell my books. Finally, when you list your college textbooks for sale, make sure you give buyers two options for shipment. One option would be having the book shipped by media mail, which can take from 5-14 days and the other option is priority mail, which usually takes 2-3 days. Just note if you're shipping to a farther distance using priority mail, you're better off using flat rate envelope, then a regular envelope. It's usually cheaper depending on the weight of the book that you want to sell. Get Going!!! Make Some Money!